Playing with Papercrafting: Stampin' Up! 's New Colour Revamp! There are just so many things to tell you about the new Annual Catalogue, but the biggest and best is the new Colour Revamp! It's so exciting to have new colours to play with and new combinations to explore, and let's face it, there were some pretty tired colours in our collection! It was time! And not only that, but we got to bring back some dear old favourites that we've been missing big time. 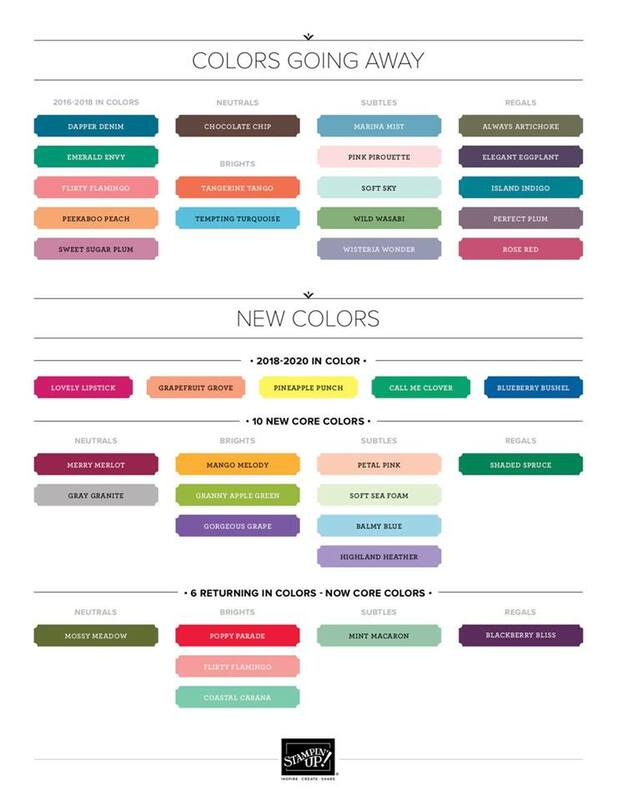 So I wanted to show you some charts that will give you an idea of which colours are being retired, which old favourites are being brought back and which brand new colours are being added, as well as an idea of the new organizational groupings. The Neutrals family contains 3 actual colours: Merry Merlot, Mossy Meadow and Night of Navy. 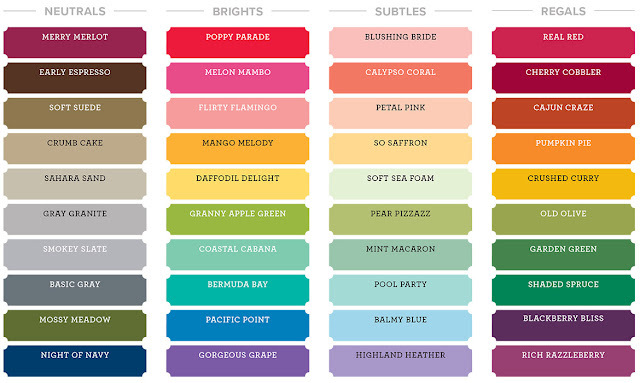 Several colours have changed categories: Night of Navy to Neutrals, Flirty Flamingo (shortest retirement in history) to Brights, and Pumpkin Pie, Old Olive and Rich Razzleberry to Regals. 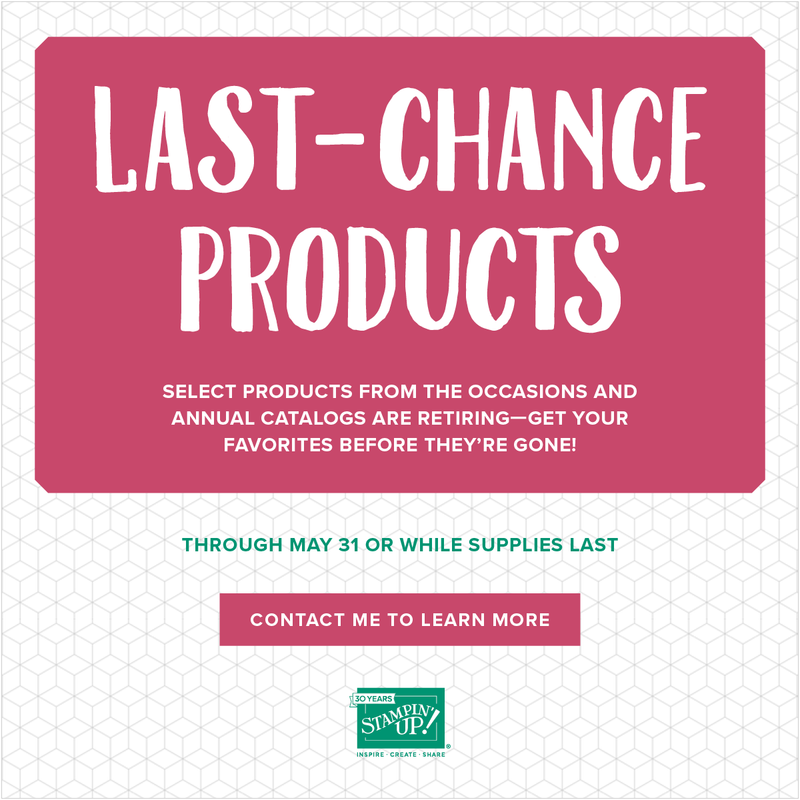 With that being said, some of those favourite retiring colours are going to be snapped up quickly and Stampin' Up! will not be replenishing them, so if you have a colour that you just can't say good-bye to, best get a quick order into me for an ink refill and a pack or two of cardstock! Email me or text me at 250-768-7379 with your orders. Check my Online Store in the Retiring Products Section to see what is still available.